Get on the fast track to comfort and style in this track jacket. Contrast color joins piping on the sleeves and back yoke to make this jacket a winner for the whole team. 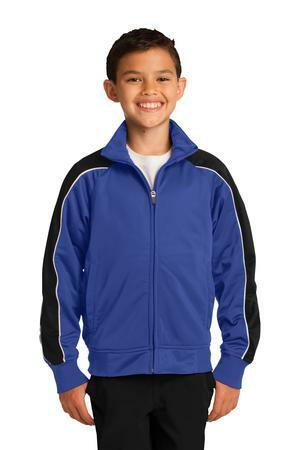 Be the first to review “Sport-Tek Youth Piped Tricot Track Jacket Style YST92” Click here to cancel reply.